Filmmaker and director Olaf Blomerus hopes to show us a vision of a technologically advanced future that isn’t as bleak as we might imagine, but he needs your help to do it. Blomerus is running a Kickstarter campaign to help cover post-production costs for his upcoming short film, Hello World. 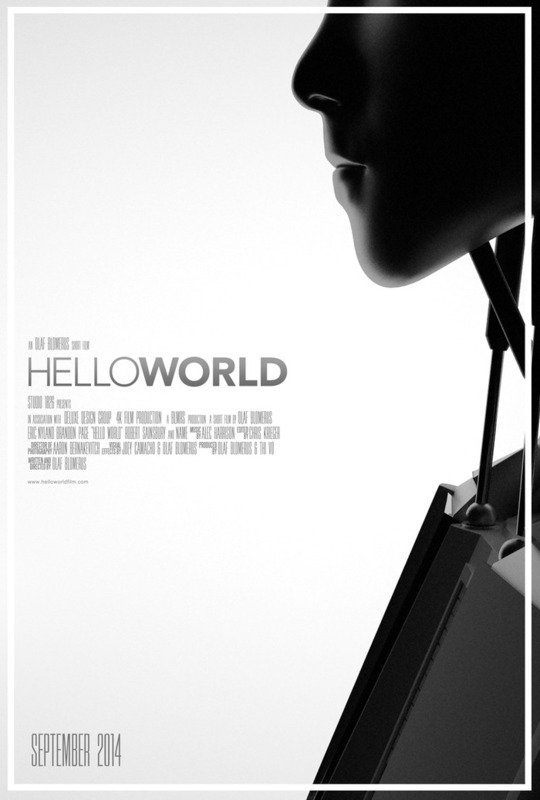 Hello World tells the story of an android that serves a father and son in the wake of their wife and mother’s death. As they grieve, the android learns about the complexities of human emotions. The campaign is currently seeking $7,000 CAD to help cover post-production costs, specifically, the visual effects and audio design for the android, as well as the final sound mix for the film. Blomerus says he has always been a very focused on the technical aspects of his work, but recently became more interested in telling captivating stories. Blomerus says the quote was a wakeup call for him. When asked about his inspiration for Hello World, Blomerus said he wanted to be a part of a group of filmmakers who show that, “…stories about technology don’t have to be all blood and metal,” and that he was interested in shifting the perspective of the future. The film also addresses the importance of female figures in life; Hello World‘s lack of a female character serves as, Blomerus admits, the catalyst for the film. Hello World was able to make it through pre-production and principal photography through a grant from Storyhive, a community-voted grant competition that provides funding for short films and documentaries in the Vancouver area. Blomerus says he knew that the grant would not be enough to cover all the costs, but he was determined to tell his story. Blomerus has been working with New Zealand-based Indie Film Sprites to help get the word about Hello World. Indie Film Sprites is partially monetized business that provides publicity, social media strategy and marketing for filmmakers. At the time of this writing, Hello World has raised nearly $3,500 of its $7,000 goal. Regardless of the campaign’s outcome, Blomerus remains confident that the project will be completed. The campaign officially ends Monday, August 11 at 1:59 AM, EDT. Please be sure to donate and help this amazing project.